Ready to use writing prompts and exercises to jump-start your creativity? Sidestep perfectionism and get words on the page with Jessica Cagle-Faber. This two-hour class is designed to inspire writers of all levels. In the class you will use prompts (or writing exercises) that work for all types of writing, from memoir and personal essay to poetry and fiction. With just an old-school notebook and pen, you will generate ideas rapidly, while sidestepping the perfectionism that often stifles creativity. Or bring your laptop. Those who want to can share what they have written. Come and get ideas for your next novel, poem or nonfiction work. Instructor Jessica Cagle-Faber starter her writing career in journalism writing for The Register-Guard and Eugene Weekly. She recently graduated with an MFA in Creative Writing from Goddard College and can be seen around town revising her first novel with a chai in hand. The class size is limited to 25 and will be held in the Library Meeting Room inside Springfield City Hall. To ensure your spot please sign-up via this online calendar, at the library’s reference desk or by calling 541-726-3766. Walk-in participants will be welcome as long as there are spaces available. 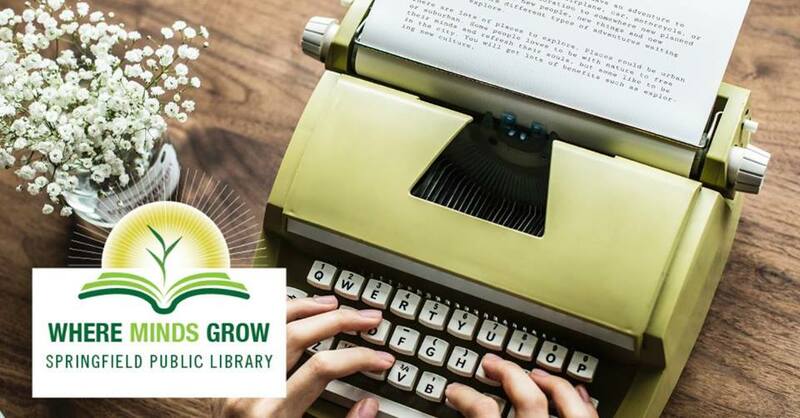 Each month, the Springfield Public Library hosts a free writing workshop for the public, presented by Wordcrafters in Eugene. All are welcome to join the free writing workshops. Adult library events are made possible by a sponsorship from the Springfield Public Library Foundation. Wordcrafters provides writers and readers opportunities to strengthen their craft, deepen their connection with literature, and share their knowledge with each other and with future generations. Wordcrafters offers an annual writing conference, year-round writing classes and retreats, young writers camps and workshops, and Writers in the Schools.